Nominations open for Sylvan Adams Nefesh B'Nefesh Bonei Zion Prize. Nominations have opened for a prize recognizing outstanding Israeli immigrants from English-speaking countries. The Sylvan Adams Nefesh B’Nefesh Bonei Zion Prize recognizes "contributions made by younger Olim who represent the future of the State of Israel as well as those who have dedicated their lives to properly represent the State of Israel on the international stage," according to the announcement this week by Nefesh B’Nefesh. 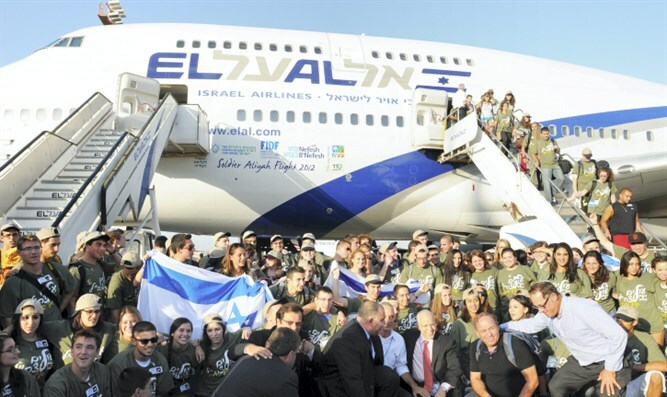 The nonprofit aliyah organization established the prize to recognize “extraordinary English-speaking olim [immigrants] who are making a major impact on developing the State of Israel." Eligible candidates must have made aliyah from an English-speaking country, including Australia, Canada, New Zealand, South Africa, the United Kingdom and the United States. Nominations will be accepted through Jan. 31; the winners will be announced on May 7. Nominations may be submitted at www.boneizion.org.il/nominate. Last year’s winners included Staff Sgt. Sahar Elbaz, a lone soldier who shot four attackers and saved his unit when it came under attack in Gaza during Operation Protective Edge in 2014; Barbara Levin, founder of the pluralist Tali school system, and Scott Tobin, general partner at Battery Ventures, leading investments in Israel, the United States and Europe as a world’s top venture capitalist.